If you haven’t already discovered it for yourself, I can offer nothing but the highest of praises for the Tamra Davis Cooking Show. Tamra Davis is a film and television director based in both New York and California. She is a mother of two, an avid home cook, and she just so happens to be married to Mike D, of the Beastie Boys. Davis is a great originator of recipes, and a couple of years ago she self-published a cookbook called Make Me Something Good to Eat. The cookbook is a great source of not only recipes, but also meal plans and cooking strategies for making delicious, creative, healthy meals that will satisfy both children and adults. And Tamra Davis is serious about getting people to eat real, healthy food. She’s led cooking classes at local food banks, and a few years ago she started the FIVE for Kids program, designed to teach kids—and their parents—about the importance of eating a natural, balanced diet that follows the simple guidelines of the food pyramid. The FIVE for Kids program not only outlines the basic nutritional composition of common foods, but it allows kids to learn about where their food comes from, how different foods benefit their bodies and minds, and how making good food choices can have a positive effect on a person’s general well-being. By the end of the program, the kids have been taught how to make 25 different healthy, affordable meals and snacks for themselves and their families. You want to see someone walk their talk? Tamra Davis is your woman. The Tamra Davis Cooking Show is, in itself, a delight. Each episode is only a few minutes long, but they never lack for substance. Several shows feature not only cooking, but also meal planning, grocery shopping, and play breaks. It’s a true representation of real life and how the process of nurturing and feeding a family is rarely as straightforward as just going into the kitchen and calmly placing things in the oven. And this is more of a side note, but the different music choices featured as a soundtrack to each episode? Top notch. One episode of the Tamra Davis Cooking Show involves a trip to Mexico. The shots of the incredible Mexico coastline are beautiful, and the recipes in this particular show are extra mouthwatering. Davis’ family rents a vacation house that happens to come with a chef, and nearly everyday the chef ends up making a slightly different version of ranchero sauce, an incredibly versatile sauce that can be used for enchiladas, chilaquiles, and anything else you can think up. 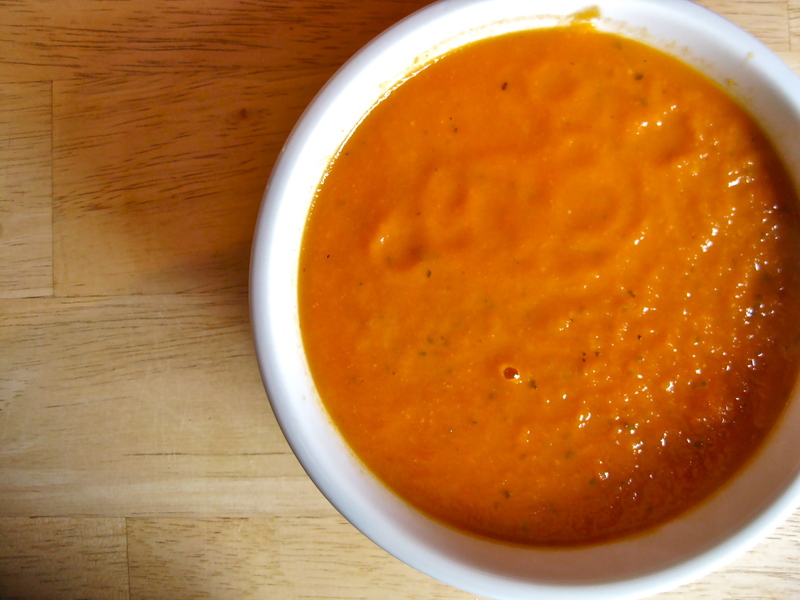 Using Davis’ posted recipe, I’ve made this sauce several times now, and I can attest to the fact that it is not only super delicious, but it is also supremely simple to make. The fact that the sauce is so willing to be changed up makes it a dream to work with. You can change the type of chilies you use, you can brown the garlic in the pan with the onions, you can puree the sauce smooth or you can leave it slightly chunky—whatever you do to this sauce, it’s tough to make it taste bad. 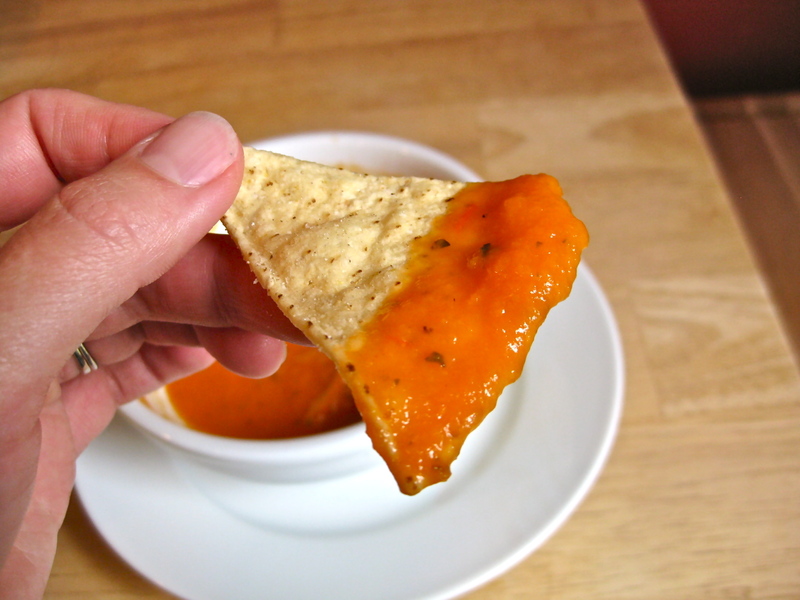 Sometimes we just sit back and dip tortilla chips into the sauce, never bothering to add it to anything because we are too busy depositing it into our tummies. My favorite use for the sauce right now is as a flavoring for Mexican rice. 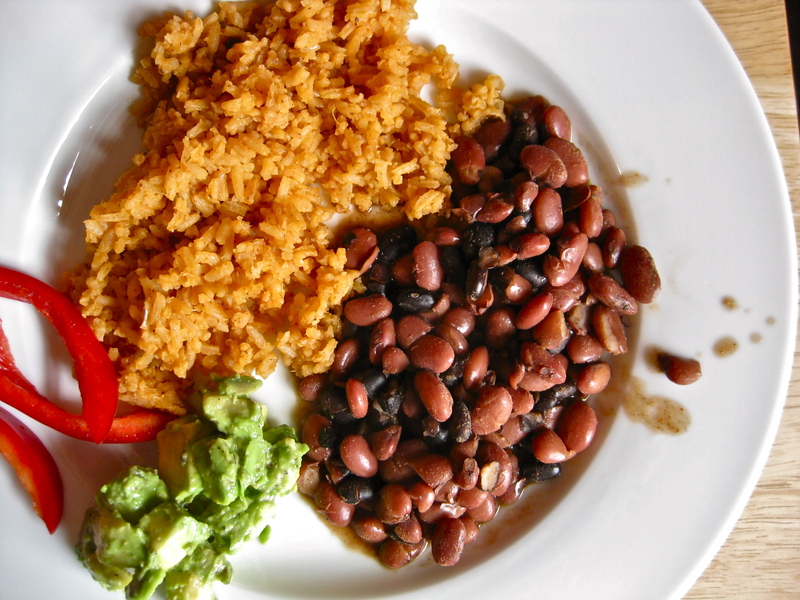 We eat a fair bit of beans and rice around here (a simple and healthy meal that goes a long way towards satisfying the nutritional needs of a small child), and I am always looking for ways to dress up the dish and make it a bit more welcome to the fatigued palettes of the adults in this house. Cooking plain white rice in a mixture of ranchero sauce and vegetable broth produces a fluffy, flavorful rice dish that is a welcome addition to our table. And since this ranchero sauce is made entirely of vegetables, cooking it into your rice adds a good dose of vegetables to each serving you dish up. If you can get yourself to stop eating a batch of ranchero sauce like it’s a main dish on its own (no, really—it’s that good), I recommend you pour some into a pan of rice and get to simmering. Cooking show episode can be seen here. You can adjust the spiciness of this recipe to your liking. When I make this sauce to put in a dish for my child, I use only half of a jalapeno pepper with all of the seeds and ribs removed. When I make it with adults in mind, I use 1 or 2 whole chilies, and I leave in the seeds and ribs. You can really make the sauce wicked hot this way, so err on the side of caution when judging your level of spiciness. 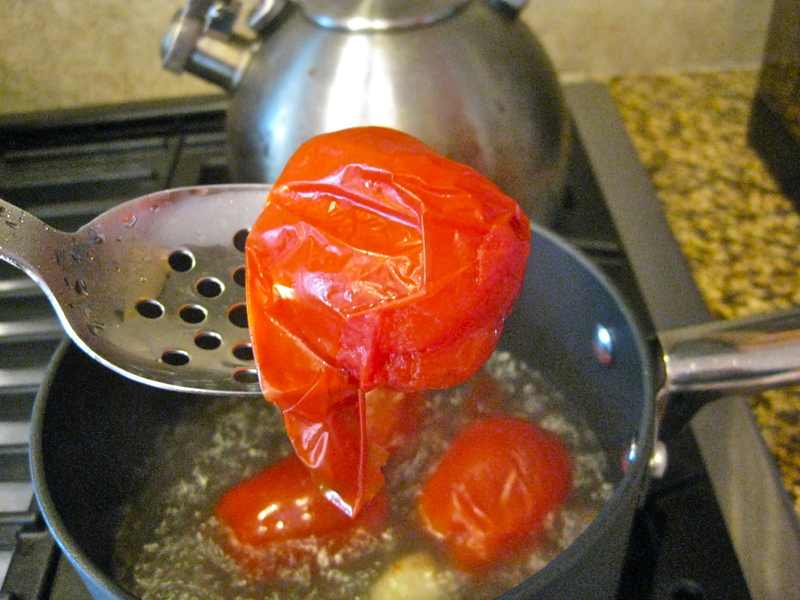 Boil tomatoes in 4 cups of water with garlic and chilies. Cook for 20 minutes at a low boil. The skins of the tomato should start to peel off. While the tomatoes are cooking, sauté the onion in the vegetable oil until soft. When the tomatoes, garlic, and chilies are done cooking, drain them, reserving a bit of the cooking water to add to the sauce. 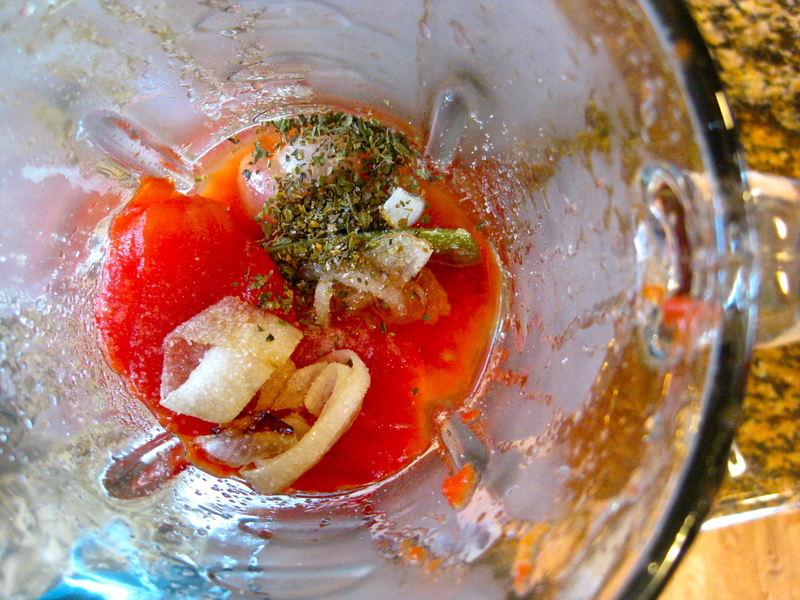 Peel the skins from the tomatoes, and put the tomatoes into a blender or food processor, along with the garlic and chilies. Add the sautéed onion, Mexican oregano, salt, and stock (if using). Blend on high until the sauce is smooth. Add a bit of the reserved cooking water if the sauce appears too thick. Pour the sauce back into the pot you used to cook the tomatoes. Cook the sauce over low heat for an additional 15-20 minutes. 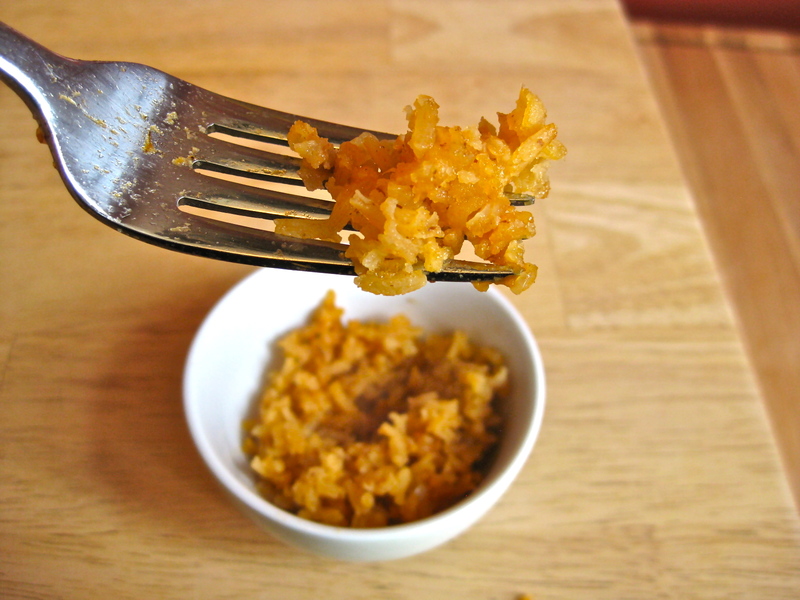 Use as a sauce for any number of Mexican dishes, or use as a flavoring for Mexican rice (recipe below). Heat oil over medium heat. Add rice and cook, stirring frequently, until rice is puffed and golden. Sprinkle with cumin and salt, then add the chopped onions. Continue to sauté the rice and onions until the onions are tender, 3-5 minutes. Carefully stir in ranchero sauce and broth (the liquid will sputter quite a bit as it hits the hot oil in the pan). 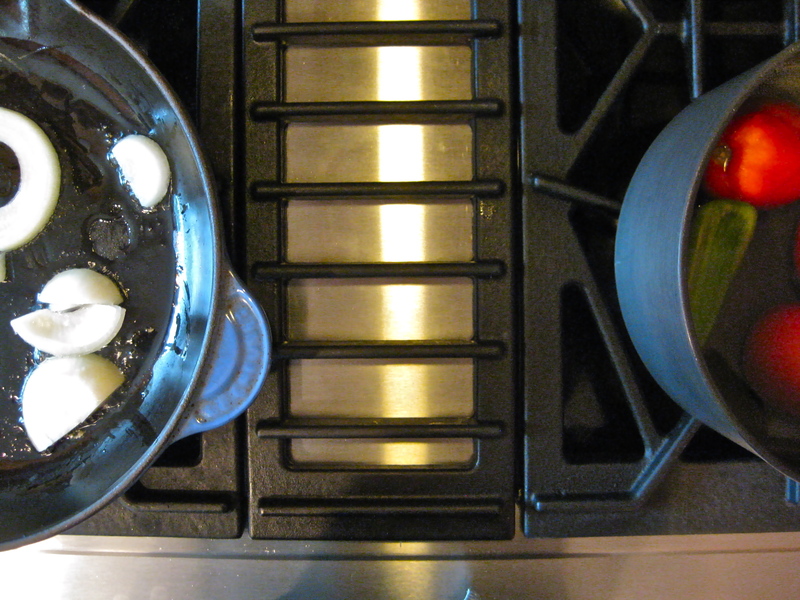 Bring to a boil, then cover the rice and lower the heat to a simmer. Cook the rice at a low simmer for 20-25 minutes, until rice is tender. 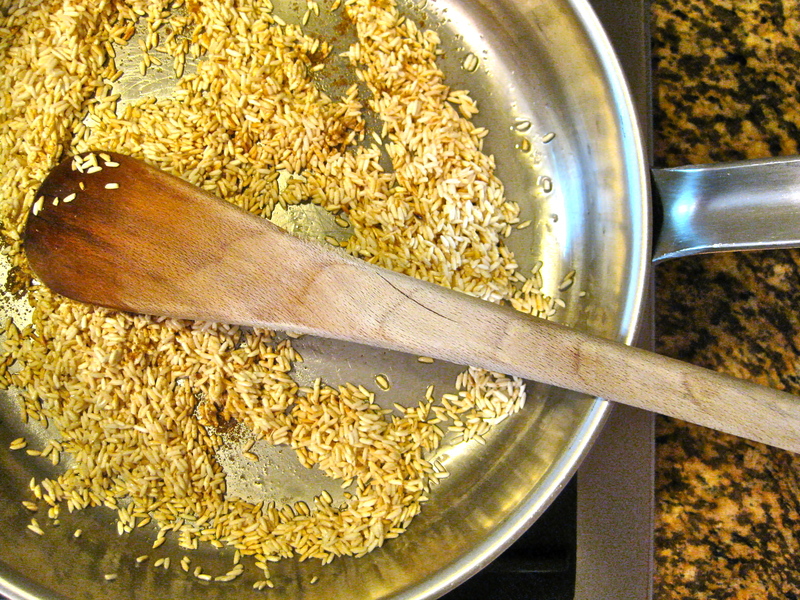 Fluff the rice with a fork to fully integrate ingredients without smashing rice. Makes about 3 cups of rice. If I could only eat one cuisine for the rest of my life it would be Mexican and I think I would be blissfully happy with it! This is the cuisine that includes guacamole after all. This recipe is definitely going down on my “to-make” list! Thanks for sharing! Adding the ranchero sauce to rice is brilliant! I’ll have to try that out!